The researchers said that the drug called NLY01 has been proven in studies to block the degradation of brain cells that is the leading cause of Parkinson's disease. The treatment has been used in the past to treat diabetes, researchers said in the university statement. The study's results, which were published last month in the journal Nature Medicine, reported that NLY01 works by binding to glucagon-like peptide-1 receptors on the surface of certain cells. Similar drugs are used widely in the treatment of type 2 diabetes to increase insulin levels in the blood, the university statement said. "NLY01 also prolongs the life and reduces the behavioral deficits and neuropathological abnormalities in the human A53T α-synuclein (hA53T) transgenic mouse model of α-synucleinopathy-induced neurodegeneration,"
"It is amazingly protective of target nerve cells," Ted Dawson, director of the Institute for Cell Engineering at the Johns Hopkins University School of Medicine, said in the university's statement. The drug is expected to move to clinical trials later this year, the statement said. 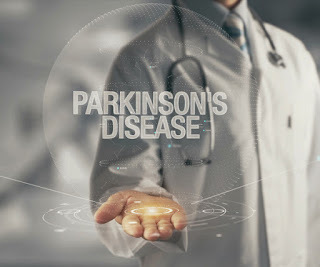 Dawson added that if planned clinical trials are successful in humans, it could be one of the first treatments to directly target the progression of Parkinson's disease, not just the muscle rigidity, spasmodic movements, fatigue, dizziness, dementia, and other symptoms of the disorder. Dawson cautioned that NLY01 must still be tested for safety as well as effectiveness in people but based on the safety profile of other similar drugs, he does not anticipate any major hurdles on the way to human trials. The researcher added that they are hopeful that NLY01 could, in a relatively short period of time, make an impact on the lives of those with Parkinson's, the university statement said.